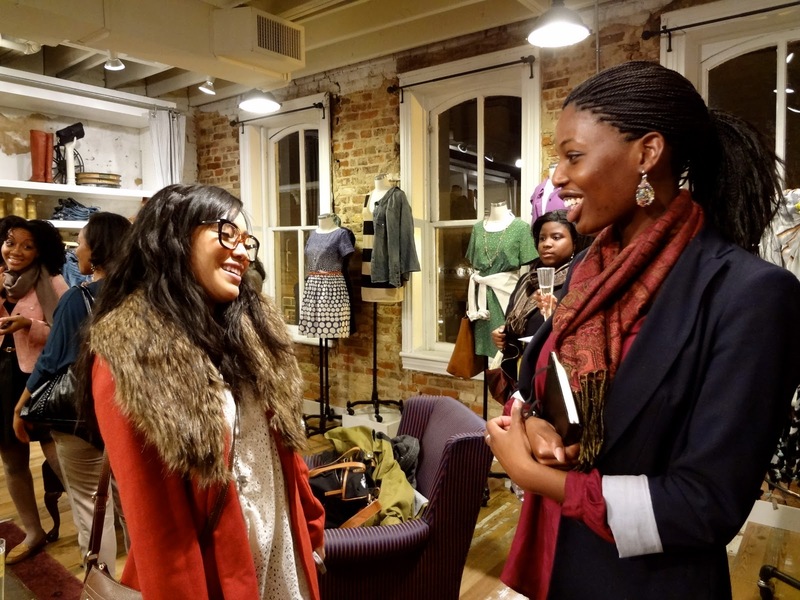 Last week Tuesday, I had the privilege of attending my very first CapFABB meetup at Madewell Georgetown. I had a chance with to catch up with my friend Silvia Huezo of Red Hue Boutique. I also had the change to meet many other fabulous bloggers in the area. It's a pleasure being a part of a community of fashion and beauty lovers just like me. Can't wait for many more CapFABB meetups in 2012.
great meeting you, Kesha! hope to run into you soon.